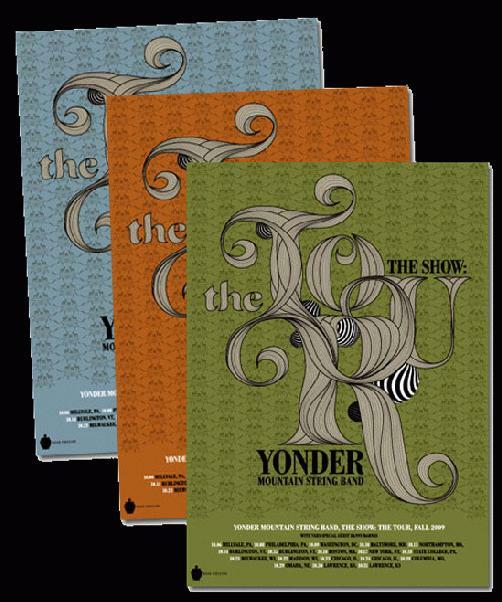 Original LOT of THREE (3) silkscreen concert posters for Yonder Mountain String Band and their Fall Tour in 2009. Poster design by Bose Collins. Measures 16 x 22.5 inches.